San Diego, CA - Jan 4, 2012 – Huntington Capital Fund II, LP (“Huntington”), a San Diego based lower-middle market focused private equity fund, has announced the funding of a syndicated mezzanine loan to Protect Plus Air Holdings, LLC (“PPAH”), a newly formed holding company that will own a 100% interest in a multi-branded platform of five operating entities within the residential air filter category. Huntington Capital co-invested in the transaction with Plexus Capital Fund II, LP (“Plexus”), an SBIC mezzanine fund based in North Carolina and existing co-investor with Huntington in one of the PPAH platform entities. Protect Plus Air Holdings was setup for the purpose of facilitating the roll up of five established air filtration companies majority owned and controlled by Hickory, NC based Lackey Group (“Lackeys”). On a combined basis the company is the 2nd largest residential air filtration company in the US, and represents a diverse portfolio of air filtration related products and brands including exclusive licenses with Arm & Hammer®, Dupont®, Febreze®, and proprietary brands such as Purafilter 2000® and True Blue®. The newly formed business will leverage manufacturing and marketing synergies as well as provide the consolidation of operating and distribution systems. The Lackey Group, brings 30+ years of experience managing the development and delivery of product within the retail channel throughout the United States. These businesses employ approximately 1,000 people across the nation. The Lackeys have spent the past few years developing brands, distribution networks and improving the operating metrics of the individual entities and believed that this was an opportune time to consolidate the entities under a single holding company and drive further growth and strengthen their position as a leader in the air filtration space. “Huntington has now worked with the Lackeys for several years in two air filtration companies. They are one of the best managed and visionary groups that we have worked with over the past 12 years and we are pleased to be a part of their team” noted Huntington Managing Partner Morgan Miller. 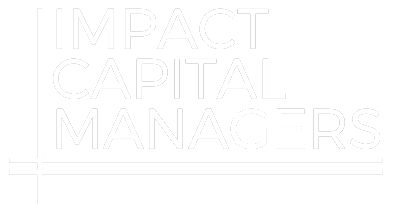 "Huntington Capital has proven to be an excellent financial partner over the years," noted Robert Lackey Sr. "We have been especially impressed by their fair and open approach to structuring the funding arrangements, as well as their desire to be involved when needed to help our business grow with both the proper financial tools and business insights. We have a tremendous amount of respect and trust in the Huntington team and look forward to building our companies with them in the future." The VSTH Group, LLC of Charlotte, NC acted as financial advisor to the Lackey Group on this transaction. The Lackey Family Group of companies was started as a product development consulting firm over 35 years ago by Robert Lackey Sr. Today the group consists of 20+ businesses that are owned primarily by Robert Lackey and his son Robb Lackey. The portfolio of companies are focused on consumer product sectors, such as air and water filtration, employing around 1,000 people across the nation. The Lackey’s attribute the company’s success in large part to the talented senior management group, dedicated staff of employees, as well as its strong alliances with its key financial partners. Based in San Diego, CA, Huntington Capital is a leading mezzanine capital provider to lower middle market companies throughout California and the Southwestern United States. Founded in 2000, Huntington is currently operating out of its second fund, Huntington Capital Fund II, which it raised in 2008 from a group of leading institutional investors. Huntington seeks to invest in established lower middle market businesses generating between $10 million and $75 million in revenues across a broad range of industries; investments are typically structured in the form of growth capital, buyout or acquisition financing ranging between $2.0 million and $7.0 million. The firm has invested in approximately 45 companies since its founding. Partners Morgan Miller, Barry Wilson and Tim Bubnack lead Huntington’s management team. For more information, please visit the company website at www.huntingtoncapital.com. Founded in 2003, The VSTH Group, LLC is a Charlotte-based merchant bank focused on the lower middle market.